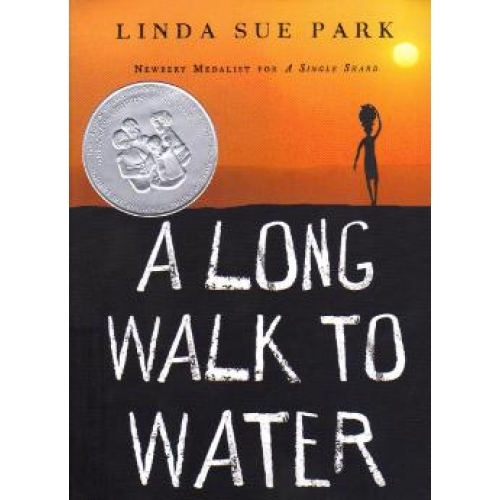 Newbery-Award winning author Linda Sue Park puts her formidable craftsmanship to beautiful use in A LONG WALK TO WATER (Clarion), the true story of Salva Dut, a "lost boy" from Sudan dedicated to providing clean water in South Sudan. This book won the 2011 Jane Addams Children's Book Award, and is a great example of why there can't be any kind of apartheid in storytelling. If we required Park to write only about Korean or Korean-American characters in the name of "authenticity," we wouldn't have the gift of this book. She crossed borders of race, culture, and power to write it, no doubt about that, but she did so with her trademark empathy, imagination, and research. Park's spare writing suits the barren landscape and honors the intense suffering endured by the main character. Dut's life is a mirror of perseverance for young people facing any kind of challenge, and a window into the tragic journeys of young Sudanese forced to flee to Ethiopia and Kenya. 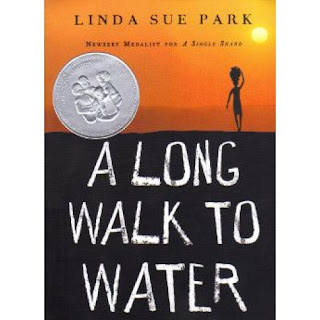 In small scenes scattered throughout the book, set apart by a different font, Park skillfully introduces us to Nya, a girl in a Nuer village waiting for the gift of clean water. Dut is a member of the "enemy" Dinka tribe, and when the two meet around a new well, the story soars with the hope of redemption--and all the more so because it's true. Although Dut is eventually able to settle in America, essentially he isn't "saved" by a powerful outsider. His determination to survive and to honor his heritage ring throughout Park's story. By the end of A LONG WALK TO WATER, we celebrate the capacity in each one of us to "save," no matter how powerless we might be at the start of a hero's journey.